"For example, it can store and process data as 0, 1, 2, or 3, known as Ternary number system." I feel the paper may be a bit revolutionary for the computing world. In situ storage and processing could be a great boon - especially in areas where size constraints are more paramount than energy constraints. Other areas where memory and computing are intricately linked are machine learning algortithms (particularly neural networks). There could benefits could be huge. 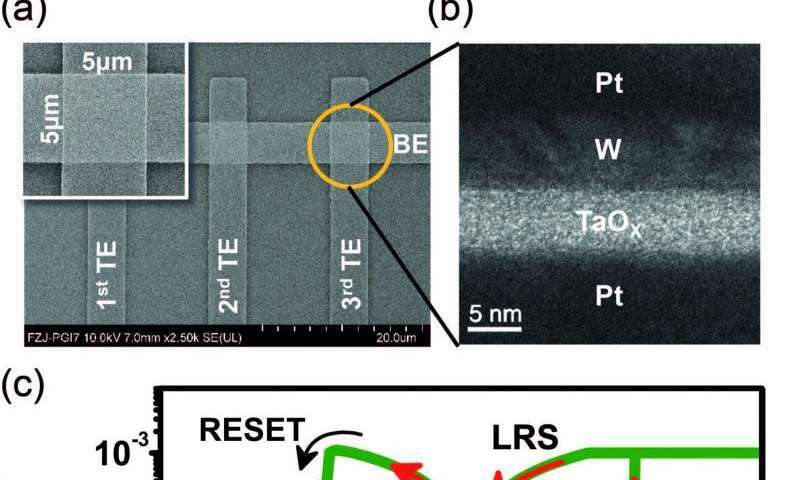 The article explains how the new chip uses a more dense numbering base for storage (4, which is quaternary, not ternary). But it does not explain (even at a high level) how it performs computation. 5Mhz is an extremely slow clock frequency these days and the source article specifically notes this tech is intended for very small low-current processing and memory storage so the implied assertion about it replacing CPUs generally is ridiculous. I see it having a big impact on low bandwidth low speed sensors that require some additional processing but other than, perhaps, a standby circuit that allows the main MB go completely offline in a cell phone when in a lower power mode this tech will not have any impact on cell phones which require vastly more processing horsepower.